The Breathe Easy Baby Sleep System is a crib mattress alternative that provides the safest sleep option for infants. 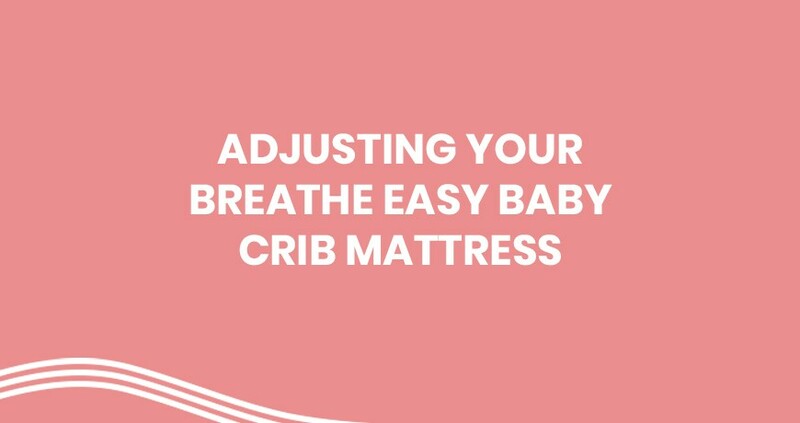 The air permeable sleep surface allows for constant and uninterrupted air flow, which means peaceful sleep for baby, and peace of mind for you. Free laundry bag with purchase – helps to protect sleep surface during washing. You will not be charged until your order ships! 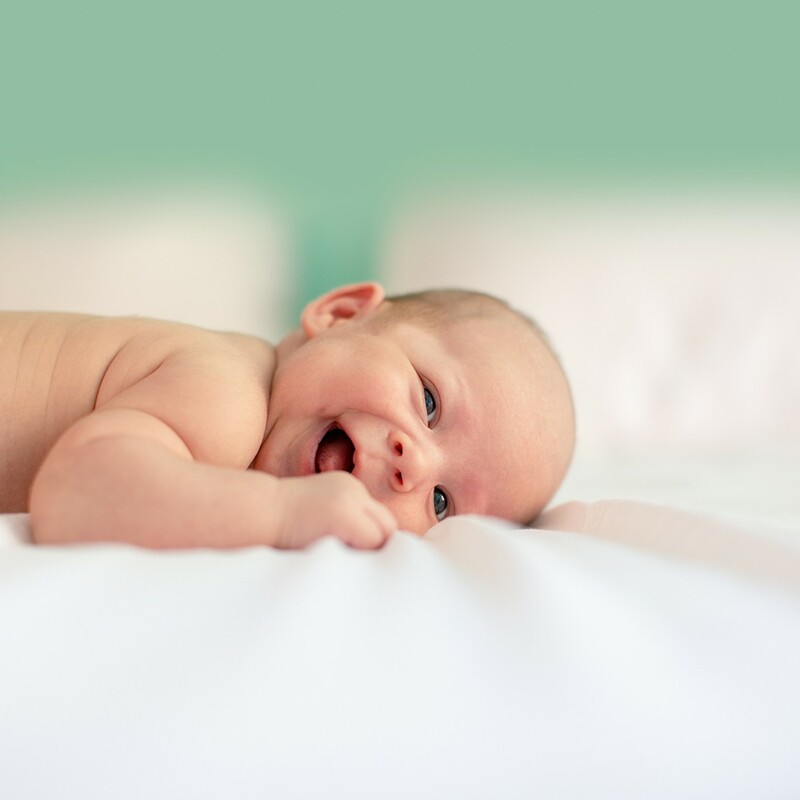 Constant and uninterrupted air flow means baby can breathe directly through the sleep surface. Perfect for tummy sleepers and babies that like to roll over throughout the night. Our system naturally disperses harmful Co2 gasses. 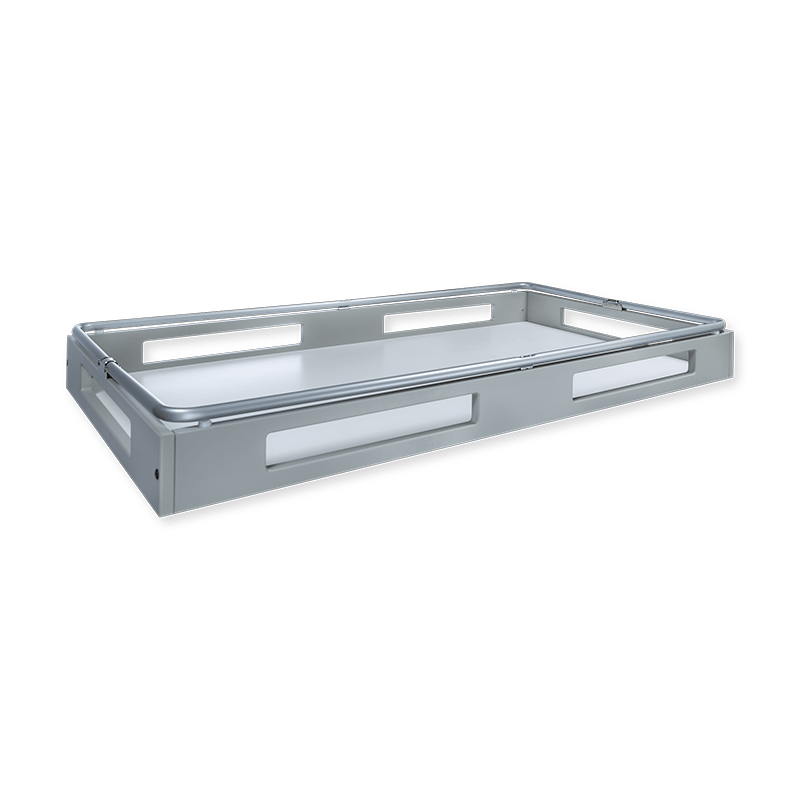 The Sleep System is fully assembled and composed of two main components: the sleep surface and base. Both parts are durable enough to last long past your infant’s time in a crib, which means safer sleep can be passed down from one generation to the next. 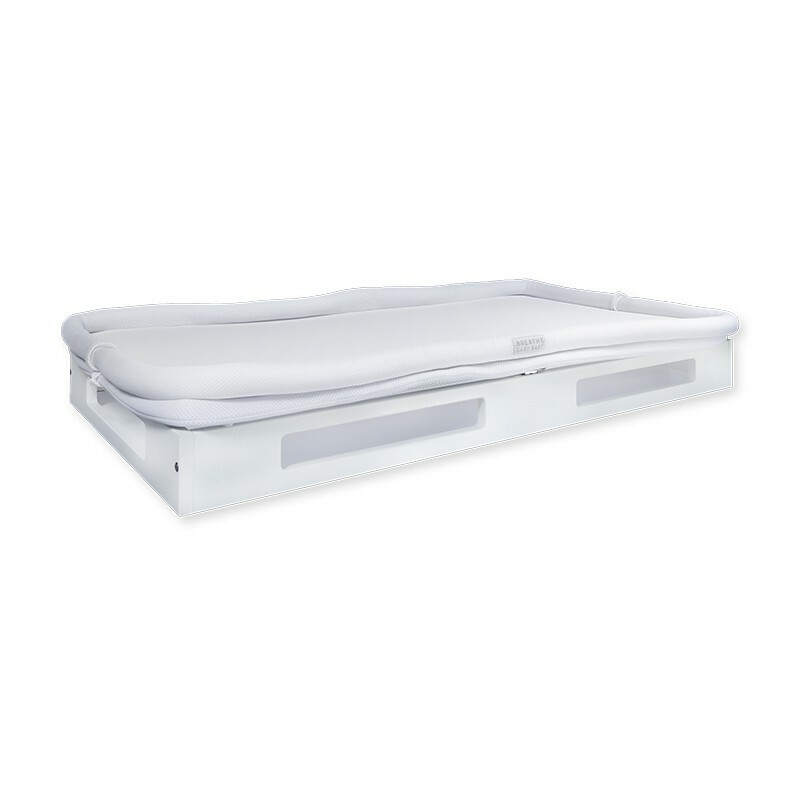 The crib mattress surface is from medical-grade, 100% spun polyester spacer fabric, and can support weights in excess of 100 pounds. 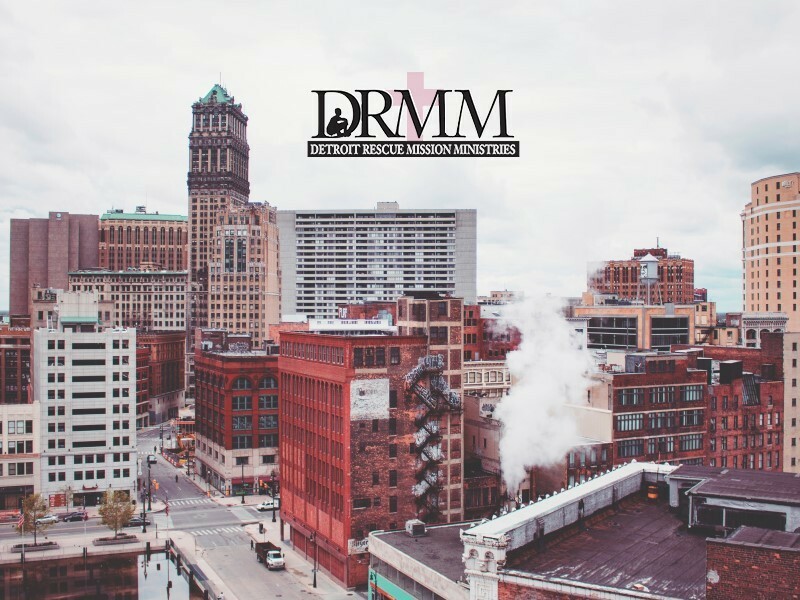 By design, our products are fire-safe without the need of potentially-hazardous fire retardant chemicals commonly found in other mattresses. And with air permeability 330 times higher than a conventional mattress, it’s like your baby is sleeping on a bed of air. Available for individual purchase. The Sleep System will arrive at your door fully assembled and ready to use. The base slides easily into any standard size crib. 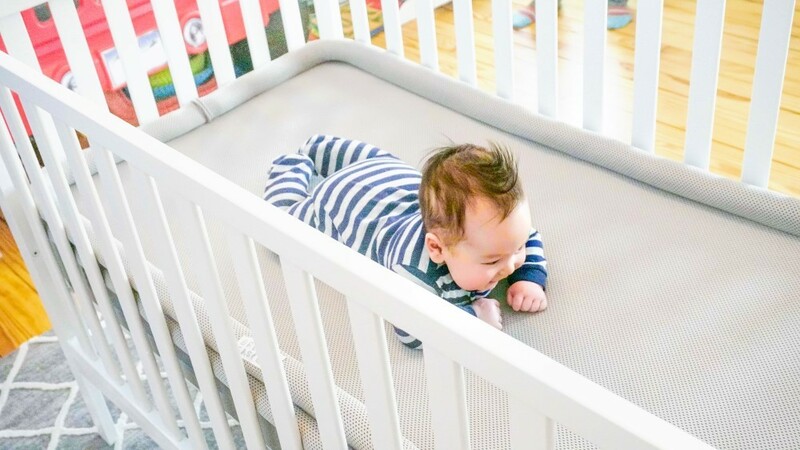 Unlike foam crib mattresses, the Breathe Easy Baby Sleep System can be cleaned very easily. Simply wipe up messes with a damp rag. The surface is machine washable. 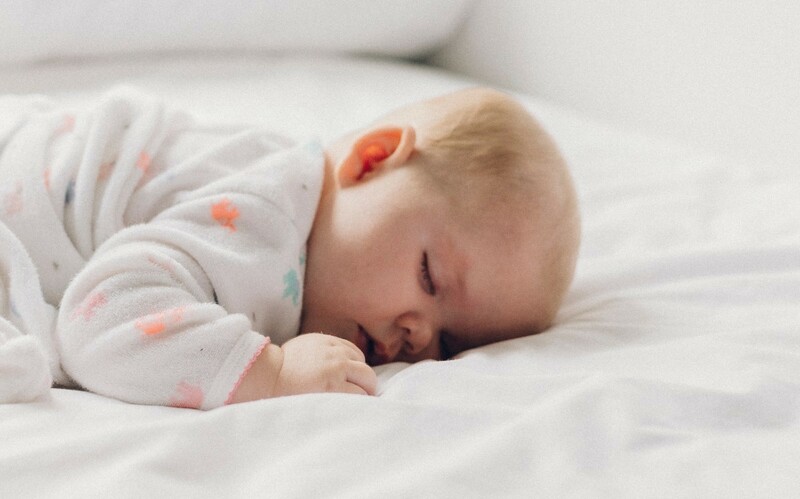 Independent testing has proven that our system is 330 times more air permeable than a conventional crib mattress and Co2 dissipates from baby 10 times faster. 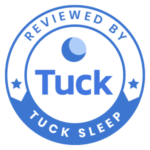 The cradling design eliminates the pressure points of a conventional mattress, which means better sleep for your little one. The Breathe Easy Baby Sleep System temperature will be determined by the temperature of the room. 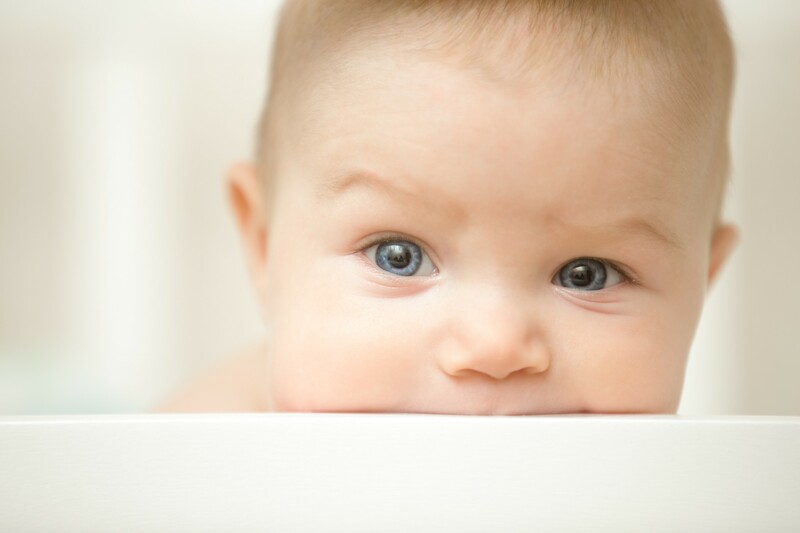 A conventional crib mattress is often too hot or cold for baby. The Breathe Easy Baby Sleep System is manufactured and assembled here in the United States – by hand – at our Detroit facility. 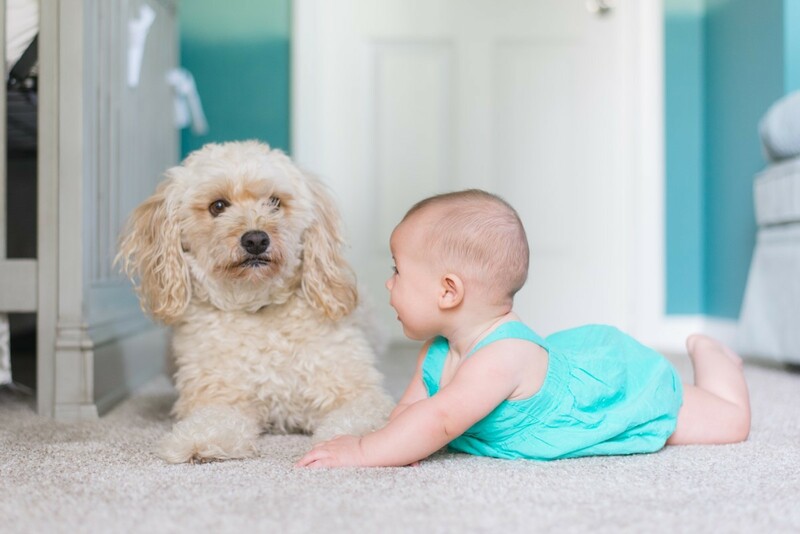 Our products are fire-safe without the need of potentially-hazardous fire retardant chemicals commonly found in other popular crib mattresses. 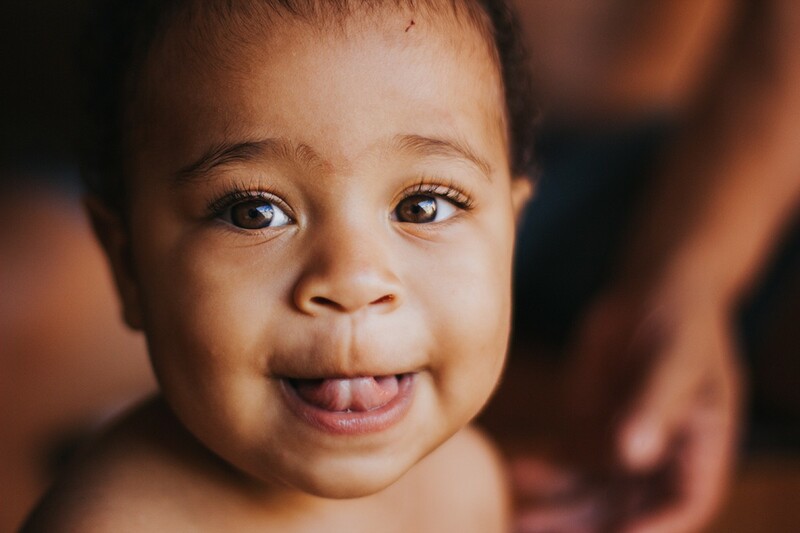 If the Breathe Easy Baby Sleep System isn’t performing to your expectations, you can return the system for a free money-back guarantee. Contact us for more details. Our limited warranty covers all parts and assembly of the Sleep System. It does not include normal wear and tear. Contact us for more details. Pick up an extra sleep surface for late night accidents. Available in multiple colorways! 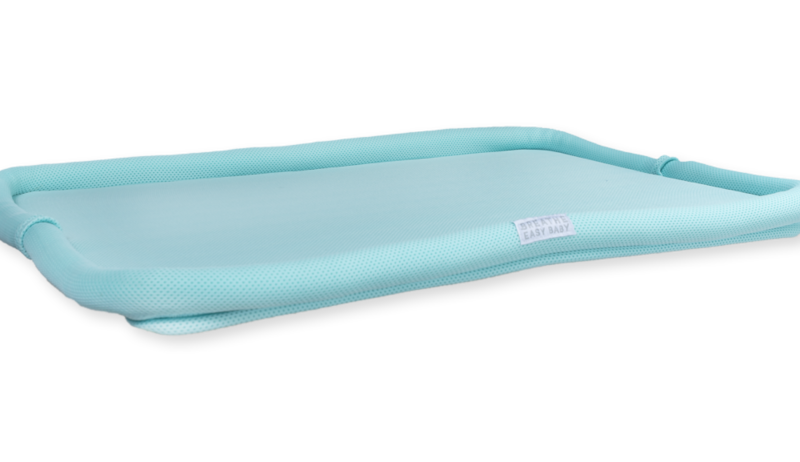 The sleep surface is made from medical-grade, 100% spun polyester spacer fabric, and can support weights in excess of 100 pounds. Our products are fire-safe without the need of potentially-hazardous fire retardant chemicals commonly found in other mattresses. With air permeability 330 times higher than a conventional mattress, it’s like your baby is sleeping on a bed of air. 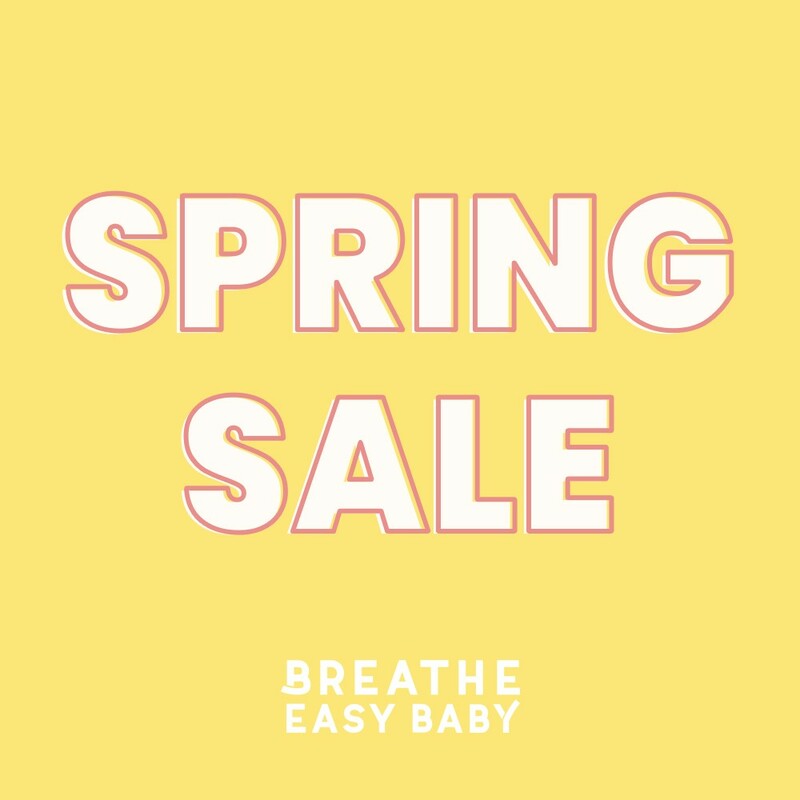 Spring Sale! 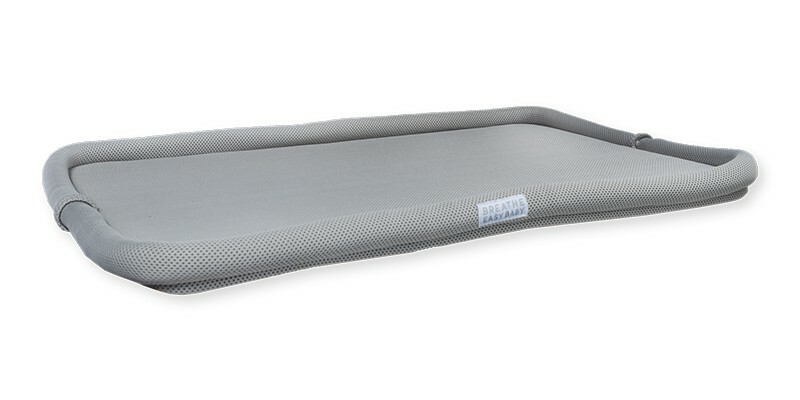 15% off a breathable crib mattress! The American Academy of Pediatrics (AAP) recognizes the benefits of air permeable sleep surfaces. In their Oct. 2016 Updated Recommendations for a Safe Sleeping Environment they make the following statement, “Certain crib mattresses have been designed with air-permeable materials to reduce rebreathing of expired gasses, in the event that an infant ends up in the prone position during sleep, and these may be preferable to those with air-impermeable materials." 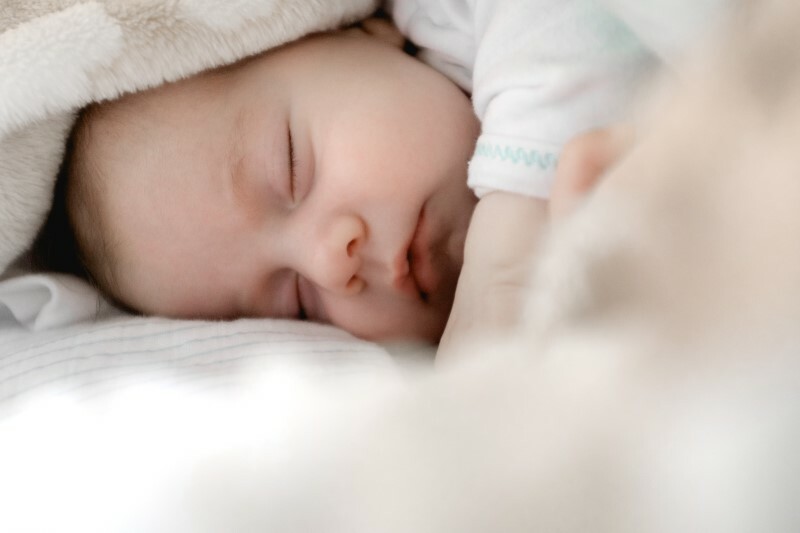 The Breathe Easy Baby Sleep System complies with all federal regulations for crib mattresses, including mattress flammability (16 CFR part 1633) and labeling requirements (ASTM F2933-13). It has also been certified by the world’s only mattress firmness standard, developed by the Australia/New Zealand Department of Health (AS/NZS 8811.1:2013). We wanted to take safety a few steps further, so we had our product tested for carbon dioxide (Co2) dissipation and air permeability by a global leader in product testing. The air permeability test (ASTM D737) showed that our sleep surfaces are 330 times more air permeable compared to a conventional mattress. The Co2 dissipation test demonstrated that Co2 dissipated 10 times faster through our system than a conventional mattress. The graph below shows the results of the carbon dioxide dissipation test. 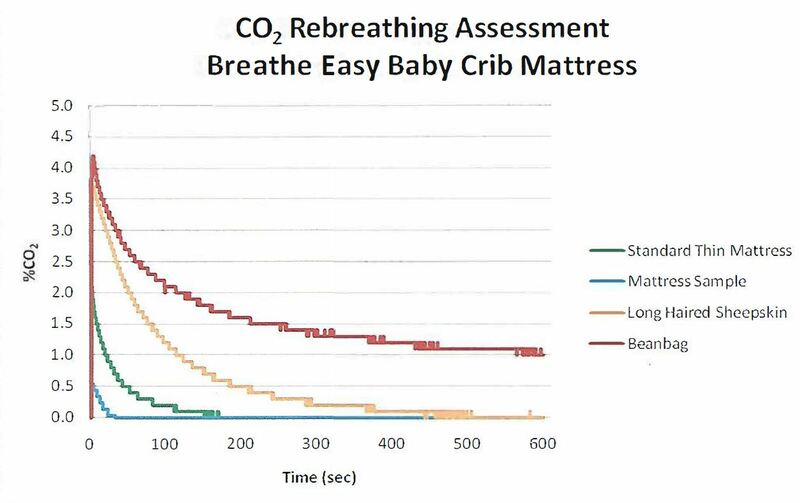 The blue line represents the mattress sample taken from the Breathe Easy Baby Sleep System. The amount of carbon dioxide and its rate of dispersal over time were calculated by integrating the area under the plotted curve. The area under each of the curves is shown below. Peaceful sleep for baby. Peace of mind for you. © 2018 Breathe Easy Baby. All rights reserved.